Information: An alternate version for issue 2 available only at the 2002 San Diego Comic-Con. 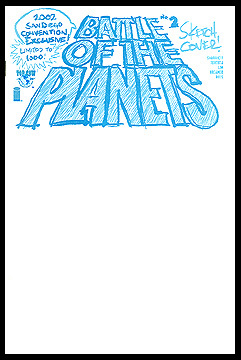 the front cover was left blank so buyers could get Battle of the Planets comic artists to do original sketches on it. Limited to 1000 copies. Art by Wilson Tortosa, story by Munier Sharrieff. Full color.